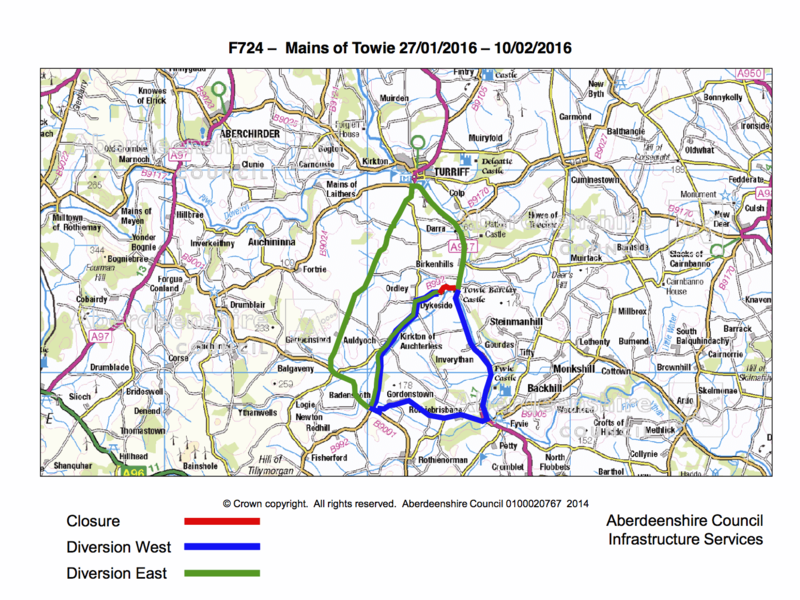 Aberdeenshire Council have informed us that the B992 at Mains of Towie will be closed for two weeks. The closure is for emergency bridge repairs to be competed. The diversion route is via B992 Mill of Towie, B9001, C22S, A947 and vice versa.